Kong Hee speaks out against charges: I maintain my integrity! Embattled founder of City Harvest Church (CHC) pastor Kong Hee spoke out defiantly against the charges slapped on him by the prosecutors during a service at Singapore Expo Hall this evening. Some members also gave testimonies on the church’s “Crossover Project” started in 2002 supposedly as a way to use Ho’s secular music to connect with people and reach out to non-Christians, which was highlighted by the prosecutors as a destination for CHC’s funds via sham companies in the charge sheet. Meanwhile, Kong Hee has been tweeting and posting on Facebook to rally his supporters. He had earlier implored them to pray for him on Facebook, but the post has since been deleted. 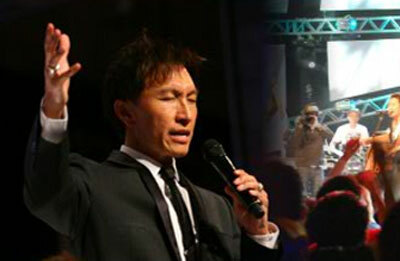 In one of his sermons, disgraced founder of City Harvest Church (CHC) Kong Hee told the congregation to ‘honor’ God by their generous giving. CHC found itself in the public spotlight lately after Kong Hee and four other members were charged on Wednesday for misusing the church’s funds and criminal breach of trust. 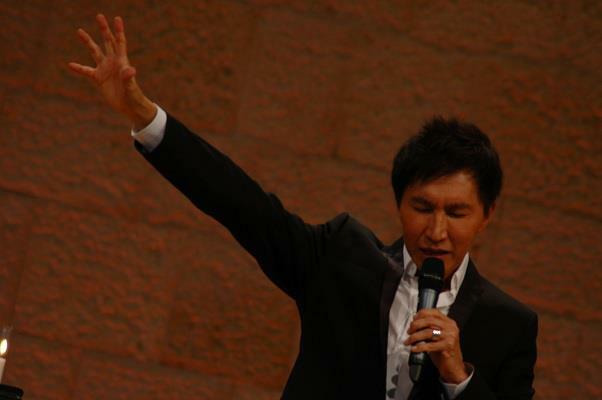 Prominent U.S. pastor A R Bernard has spoken out publicly in defence of Kong Hee, the disgraced founder of City Harvest Church who was charged in court on Wednesday for misusing S$50 million dollars of the church’s funds to further the music career of his singer wife Ho Yeow San. A R Bernard is the Founder, Senior Pastor and CEO of Christian Cultural Center (CCC) located in Brooklyn, New York, United States. He is also the President of the Council of Churches of the City of New York representing 1.5 million Protestants, Anglicans and Orthodox Christians and sits on the NYC Economic Development Corporation Board; NYC School Chancellor’s Advisory Cabinet and served on Mayor Michael Bloomberg’s 2001 Transition Team. Despite widespread criticisms of the PAP government’s authoritarian style of governance, it has been increasing its ‘engagement’ with the citizenry, said Acting Minister for Community Development, Youth and Sports Chan Chun Sing. In an extensive interview with the state media to boost his national profile, Mr Chan, who was touted by some to be the next Prime Minister acknowledges that the Government is still feeling its way and noted that there is no one-size-fits-all approach. “While there are detractors who still feel that, in some cases, the Government has already made up its mind before consulting citizens, the key lies in finding a “sweet spot”, where there is agreement that it is at an appropriate stage for consultation,” he added. Mr Chan also noted that, ironically, any dissatisfaction over the Government’s consultation efforts stems from its desire to constantly pre-empt issues before they snowball into problems. 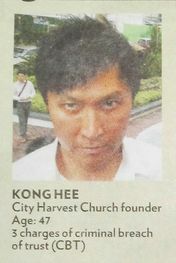 Singapore’s sole and only print media company Singapore Press Holdings (SPH) has hit back at City Harvest Church (CHC) after it issued an official statement two days ago threatening to ‘deal’ with the media over its ‘unfair’ coverage of the ongoing court case involving its founder Kong Hee (pic left) and four others. Kong Hee was charged on Wednesday for misusing S$50 million dollars of CHC’s funds to further the music career of his singer wife Ho Yeow Sun, a charge which was strenuously denied by CHC which vowed to stand by its side. In a statement issued on its website, Bobby Chaw, the pastor in charge of missions at CHC expresses his disappointment with some of the media’s coverage so far, particularly in relation to the COC inquiry. “In some instances, they seem to have pre-judged us. We will be dealing with this in due course,”he says, without elaborating on it. A lengthy article published in the Straits Times today questioned the intent of CHC to issue the statement dismissing the allegations. It also quoted some lawyers as saying that the statement may be construed as ‘interfering’ with judicial process which could see CHC Executive Pastor Aries Zulkarnain being investigated for ‘contempt of court’. SPH’s stance appears to contradict that of PAP MP Sam Tan who ’empathized’ with CHC leaders, saying it is ‘understandable’ for the church to support Kong Hee. The PAP government looks after all Singaporeans, regardless of ethnic groups, declared Prime Minister Lee Hsien Loong. Speaking in both Malay and English at Muslim community organisation Jamiyah’s 80th anniversary celebrations, PM Lee lavished generous praises on the government’s ‘high quality’ social services, such as housing, healthcare and education, to develop Singaporeans’ potential and to prepare Singaporeans for good jobs. “This national approach has worked well for us. All communities have progressed with Singapore including the Malay/Muslim community. People have made achievements based on merit and fair competition, so that every Singaporean can take pride in their accomplishments and progress and we have strengthened the Singaporean identity as we have improved our lives together,” he added. PM Lee reiterated that though Jamiyah’s work is focused on the Malay community, it has worked with other organizations such as the Buddhist Lodge which reflected the emphasis on inter-religious harmony, as this strengthened racial and religious harmony. All Singaporeans have been under the ‘tender loving care’ of the PAP government since the island state attained independence in 1965. Though Singapore’s income gap between the rich and the poor is among the highest among First World countries, it has one of the highest GDP per capita income in the world. I did not lose my job to a FT, but I know of people who did. I have never said they were cheaper in any of the things I have written. The closest thing I ever written was ‘I was slightly better paid’ and please do not quote me out of context. You are right about the FT having equal wages from places like Mumbai and Shanghai. So why did they not stay back in their country and get equal wages? It is because many of them are unable to find job back in their homeland because of various reason. Many of my friends from Shanghai have also told me about their plight back in their homeland (No friends from Mumbai). They are not able to secure a job due competition, lack of ‘connections’ and some corrupted government officials. Shanghai have the same cost of living, but they have rural areas and the cost of living drop significantly and the quality of life is better than in Singapore. They also pointed out to me that their government may be corrupted, but they protect their citizens should any foreigners say anything bad about them. They can migrate within their country to a place where housing and cost of living are cheaper. Water, electric, gas, internet and mobile services are all significantly cheaper. They only have 1 party, but they can protest and basically ‘force’ their government to listen to them. It is unlawful to protest in Singapore. Their elderly who live in rural area can have compensation when they grow old as they have contributed to the building of China. In Singapore, your money is locked up with a minimum sum of 131k and it was your money to begin with. Also, some people might not even have that much money in their CPF by the time they hit retirement age. They have the option to buy lands and properties back in their homeland with whatever they earn here. They can retire and live a decent life with no worries after that. They can see the light at the end of the tunnel before they even hit 40, but are Singaporeans able to do that? These are the basic framework of the plan 3/4 of my FT friends have. Work and suffer until the end of the contract. Be thrifty and just save up what ever you have, buy a property in Singapore and make full use of CPF. End of contract, sell the property, withdraw all CPF funds, go back and enjoy life in a landed property. And by that I do not mean 20 or 30 years, I mean 10 years or so depending on where they come from. Just a side note, they are horrified to see so many people working at their golden age in the hawker centers. It is rare to see people like that back in China and the elderly normally choose to work at his/her age volunteeringly. For Singaporean, there is no choice regarding that matter for many of the middle/lower income group. To sum it up, many of them felt that Singapore is a good place to earn money, but not a good place to retire. It is also the main reason why they choose to remain PRs. I am not expecting myself to live in a landed property in Singapore, but I wanted a home that I can live in comfortably and not to have to worry about medical fees or other unforseen events by the age of 65. I have to work 9 hours a day for 6 1/2 days and more should it get busier. When I take the upgrade course, I have to go for it 3 times a week, and 5 hours each excluding travelling, will I be able to function at my 100% while I am at work? Will my mental status be adequate and not cause any errors while I work? When the company is busy, is my boss kind enough to let me go? The ‘bring home’ work and the course assignments had to be juggled as well. I had to go for resevice and IPPT and I had to literally beg my boss to let me go. Are these reasons good enough for you to understand my concerns about losing my job? I do agree that there are people out there that have work ethic issues. I also agree that we need to constantly upgrade ourselves. However, I disagree that you tried to imply that Singaporeans are not willing to improve ourselves and also people who have work ethic issues do not apply to Singaporeans only. And also, do you have a family? Do you think you can be replaced easily? Do you save enough to withdraw your money from the CPF by 55? * The above was first posted as a comment on The Temasek Times. The wages of Singaporeans have increased last year in spite of a slower economic growth, according to ‘Report on Wages in Singapore 2011’ released by the Manpower Ministry on Friday. Salaries in the private sector rose by 6.1 per cent compared to a 5.7 per cent growth in 2010 which is attributed to a tight labor market. However, after factoring inflation, the increase works out to be 0.9 per cent, lower than 2010’s gain of 2.9 per cent. Singapore’s inflation rate does not include housing. The top earners were manager with an average gross median wage of S$6,630 monthly followed by financial and professional services and technicians. At the other end of the spectrum were food and beverage industries, as well as employees working in accommodation. Cleaners and labourers took home an average of $1,020 a month. 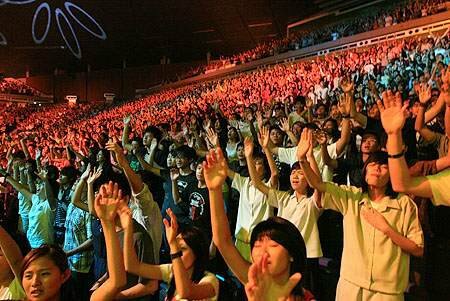 The PAP government appears to capitulate from intense pressure and lobbying from City Harvest Church (CHC) members following its latest press release yesterday that it will stand by its founder pastor Kong Hee and four other members who were charged on Wednesday for misusing the church’s funds. Speaking to queries from the media, Senior Parliamentary Secretary for Community Development, Youth and Sports Sam Tan, said the City Harvest Church members’ support for their leaders is ‘understandable’ without condemning them for their ‘rowdy’ behavior outside the Subordinate Courts on Wednesday. About 200 CHC members gathered outside the Subordinate Courts to ‘protect’ Kong Hee from the media circus and a scuffle reportedly broke out between them and some journalists. Under the new Public Order Act, an assembly of one person or more is illegal and the police has the power to arrest the offenders on the spot. While the police was quick to arrest SDP supporters protesting outside the Manpower Ministry and CPF Board, no police was present to control the CHC members at the scene, thereby making a mockery of Singapore laws. “It is understandable, that there will always be supporters to the leaders, and it is also completely understandable for them to express their support to their leaders. And it is also completely understandable for people who hold different views, to also express such views,” Sam Tan said in response to queries from the media. Kong Hee is represented by PAP MP for Moulmein-Kallang GRC Edwin Tong. According to unverified rumors circulating on the internet, a few ministers and MPs are members of CHC as well.